Just the door- no hinges, knobs, or frame. Paint it to match your decor. Use hollow-core doors when sound is not an issue, in closets and pantries. 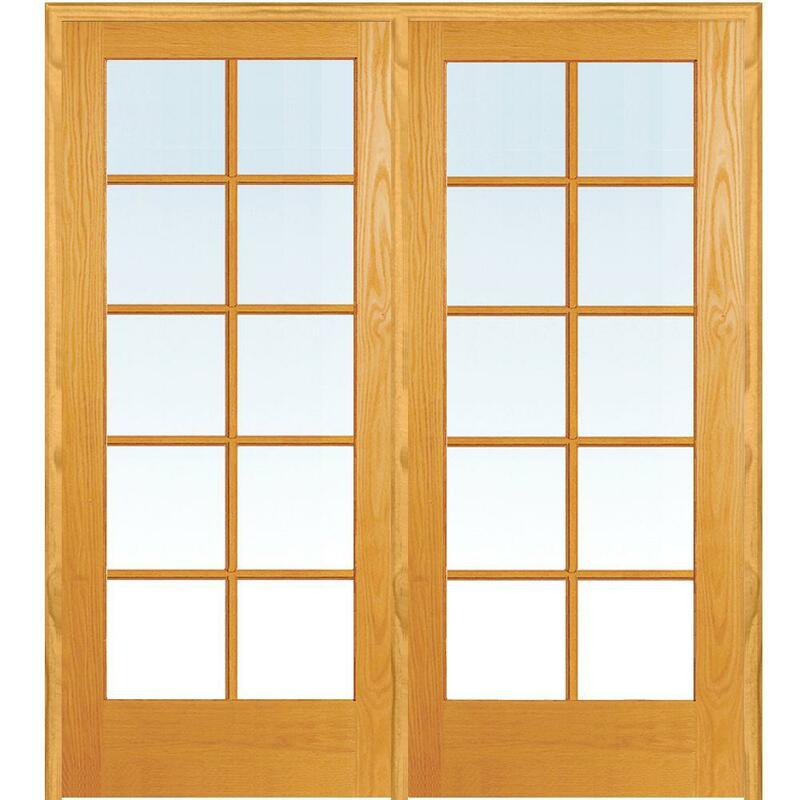 Solid-core doors are durable and good for privacy. Most door knobs are easy to install and compatible with both left-handed and right-handed users. Boost your décor with an interior door that’s stylish and functional. Customize your doors or go with a pre-hung door. You have options. When it comes to a bedroom door, you want it to provide some quiet and privacy. A solid door is more soundproof than hollow, so you can get some sleep even when the rest of the house is awake. When it comes to closet and bathroom doors, space is always a consideration. Save space by installing a pocket door or barn doors for your bathroom. Frosted glass doors give the feeling warmth and open space. Whatever your décor, make sure your doors match. A French interior door lets the light flow between rooms. Keep an open floor concept but maintain the right to privacy with a living room door that slides open. A wood barn door can do the trick. Match the look of your room with a sliding door with the same look, open or closed to go with your décor. Get the ultimate private escape with a hidden door, people won't even know it's there. Pro tip: You can use any interior door as a closet door. Barn doors make excellent closet doors because they don't take up functional space, they simply slide parallel to the wall on a rail. The same goes for sliding closet doors. Bi-fold doors work well in closets, too. Closet doors keep your storage boxes and hanging clothes out of sight. It makes sense to consider a mirrored closet door so you can try on your clothes right where you store them. If you want a custom look, go for custom closet doors. Just make sure they keep close to the rest of your home's style. Louvered custom closet doors also let air circulate in your closet, keeping your clothes fresh. Décor tip: Soften up your closet doors with draped fabric. You'll find the most common and popular door sizes online. 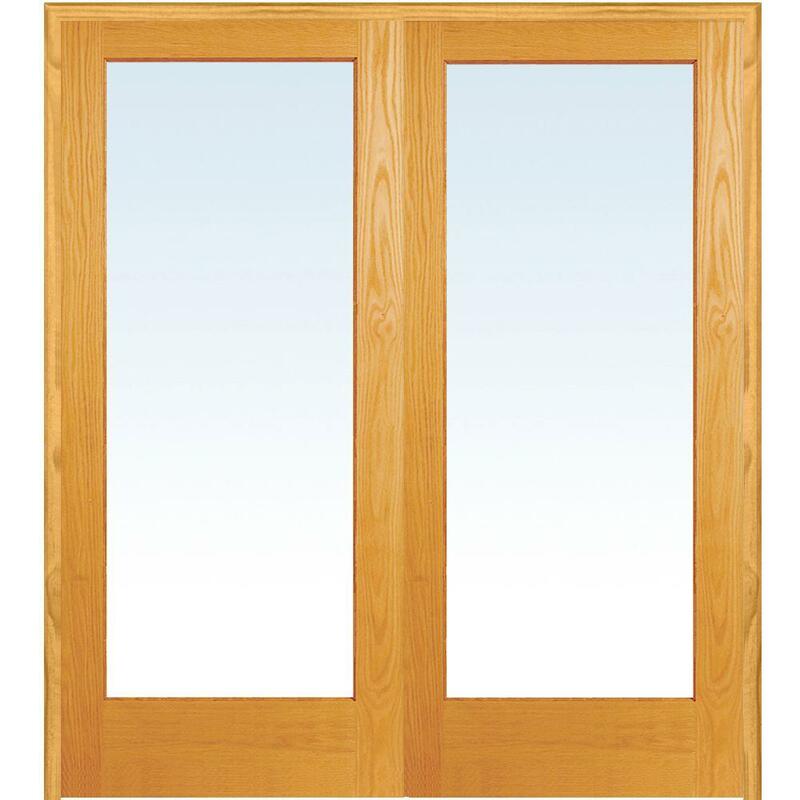 If you're looking for a special door for your room, imagine an interior glass door or special-order interior wood door. Install a modern interior door for a décor style boost. Create a style focal point with a glass barn door. Or, go with the tried-and-true standard slab. You'll find what you need in our vast selection of interior doors. If you can't find the door you want online, visit your local store to discuss custom options and installation services. Ask a store associate about your closet door and interior door options.